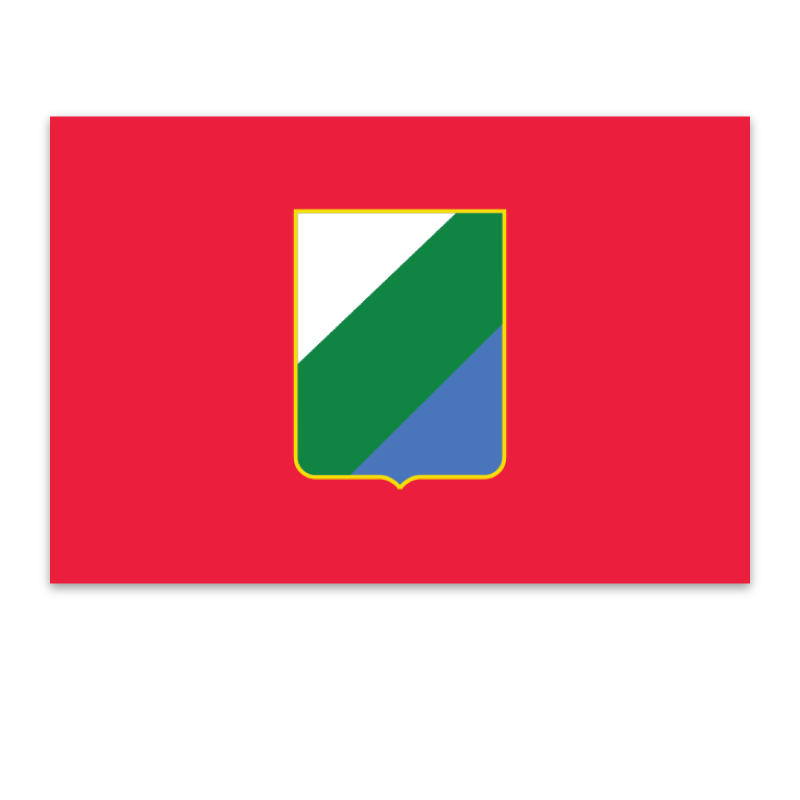 The province of Chieti covers an area of 2,588 sq.km and borders the provinces of L'Aquila to the west, Pescara to the north west, the region of Molise to the south and the Adriatic sea to the north east. 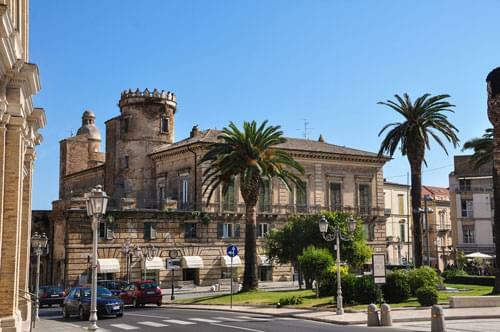 Chieti is largely a hilly and mountainous province containing a large part of the Maiella mountain range which forms one of the higher sections of the Appenines. 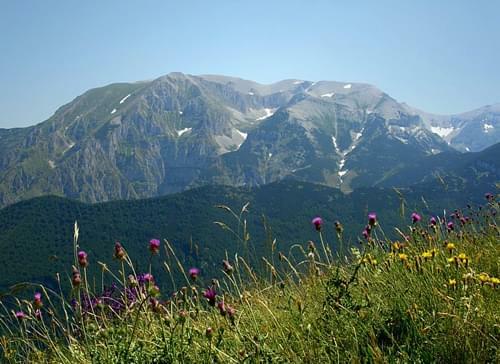 A major portion of the Maiella National Park runs through the province and contains some spectacular scenery and wildlife. The whole area is heavily wooded and interspersed with rivers, creeks and deep valleys. The northern part of the area is sparse, desolate and uninhabited, whereas the southern portion flattens slightly to become more rounded and softer with many small villages dotted on the hills and along the valleys. The majority of the population, over 75%, live along the Adriatic coastal strip. The coastline has a mixture of sand or pebble beaches backed by high, rocky cliffs. It is known as the Costa dei Trabocchi due to the number of wooden constructions, called trabocchi, running along its length. 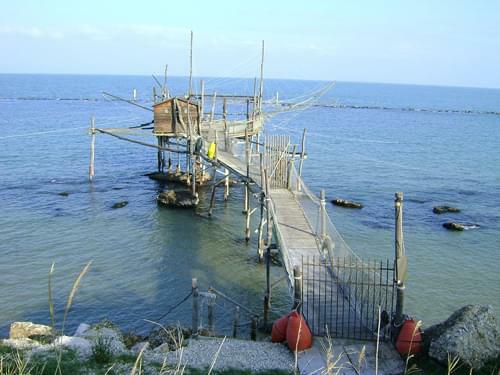 These trabocchi are traditional fishing structures which date back to the 18th century and consist of a complicated system of nets, ropes and winches all supported by a wooden platform which also supports a wooden hut. 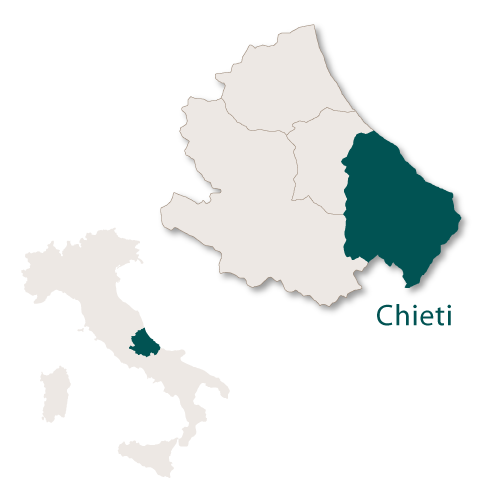 The city of Chieti is the capital of the province of Chieti and lies 200 km north east of Rome. It is one of the oldest cities in Italy and according to mythology it was founded in the year 1181 BC by Achilles. 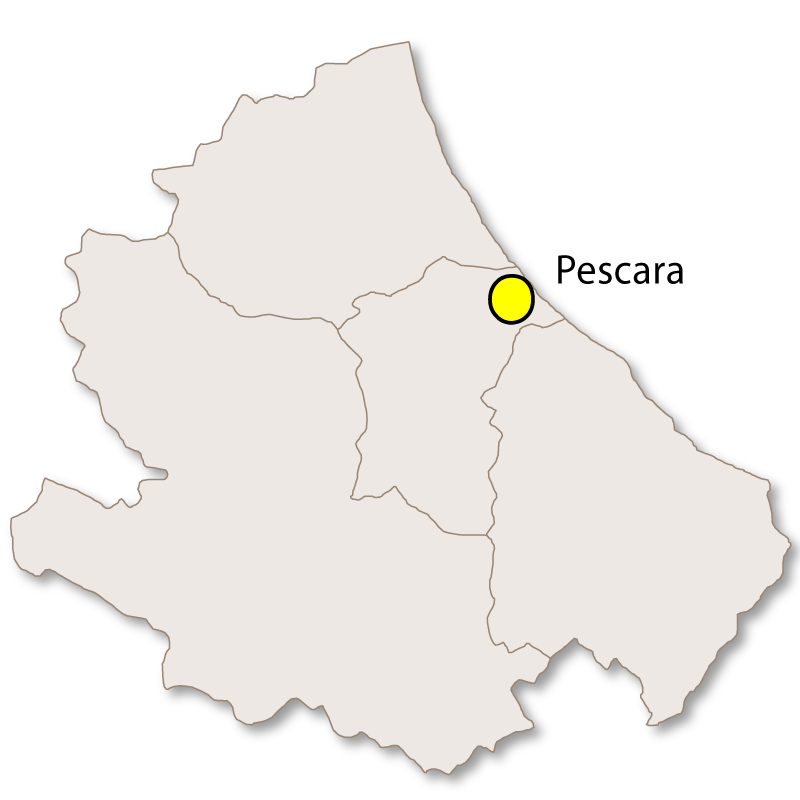 Set in a slightly elevated position above the Pescara river it runs parallel to and is only a few kilometres from the Adriatic coast and has a stunning backdrop of the Maeilla and Gran Sasso mountains. The city was declared an open city during World War II which thankfully prevented it from being bombed by either side. The highest part of the city is the old, historical centre whist the lower slopes contain the new town and the University. 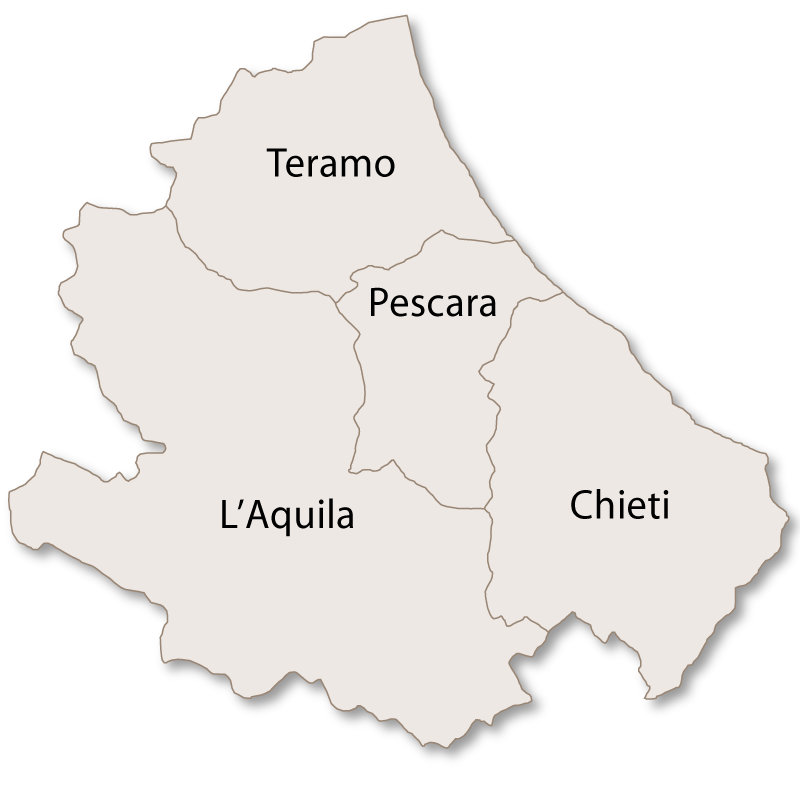 The University of Chieti is based in both Chieti and the city of Pescara. The original gothic cathedral, San Giustino, was rebuilt in 1069 and again in the 14th century when an enlarged bell tower was added. After being damaged by several earthquakes it was once more rebuilt in its current Baroque style in the late 17th century. Other interesting churches and religious building are the Oratory of Sacro Monte dei Morti and the churches of San Francesco al Corso (1239) and Santa Chiara. Villa Frigerj - the National Archaeological Musuem of the Abruzzi. La Civitella - Archaeological Museum. There are also two art musuems, Costantino Barbella and Palazzo de Mayo. 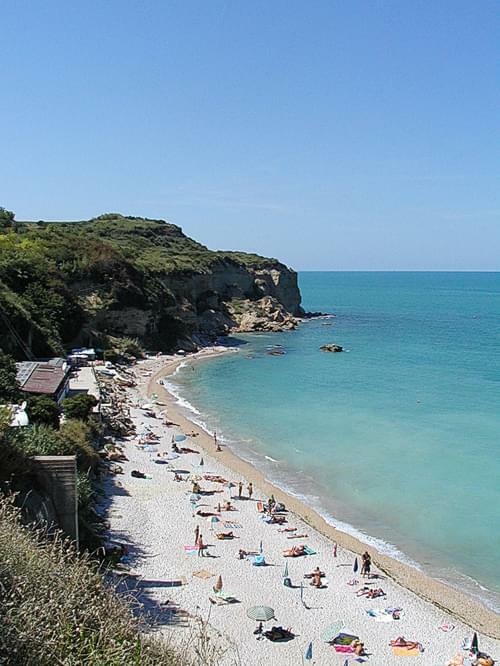 Vasto is the second largest town in the province of Chieti and, like the city of Chieti, is also an ancient town with mythology stating that it was founded by the Greek hero Diomedes. The earliest archaeological evidence of settlement in the town dates back to 1300 BC. The town is split into two separate sections, the actual town of Vasto which is about 6km inland and Vasto Marina which is a new residential coastal resort and a popular destinations for summer holidays. The actual town of Vasto was once a surrounded by walls and the remains of these can still be seen. It has a Centro Storico (historical centre) containing the 18th century Cathedral of San Guiseppe and the D'Avalos Palace. In Piazza Rossetti there is Castello Caldoresco which was once a private residence. Every summer this town hosts students from Harvard University for an intensive Italian language course. 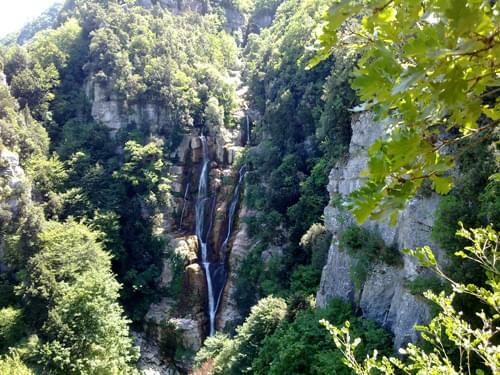 The location of the highest waterfalls in the Apennines, Cascate del Rio Verde. 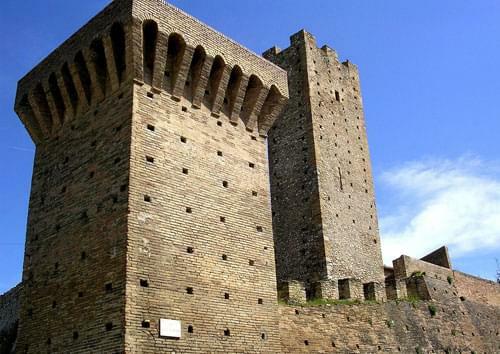 This village has a medieval castle which originally belonged to the Baglioni family and the Palazzo Gattone. Chiesa del Santissimo Salvatore (church of the Holy Savior) 13th century. 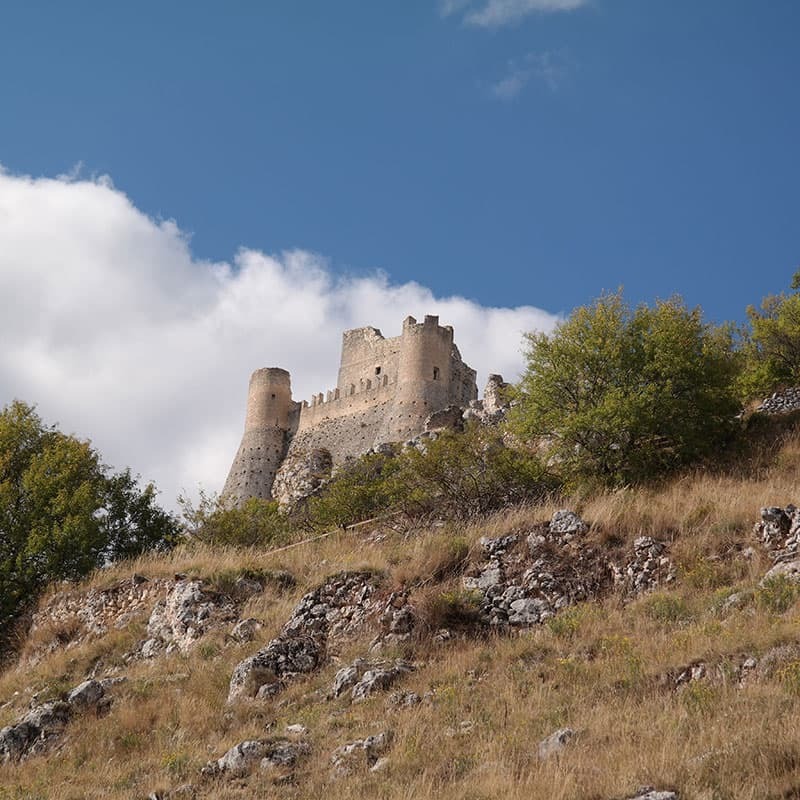 Lying in the foothills of the centre of the maiella national park, Guardiagrele has enviable views over some of the best of the countryside in Abruzzo. It part of the Borghi più belli d'Italia (most beautiful villages in Italy. The old watchtower (guardia), from which the name of the town is derived, is still relatively intact. Guardiagrele has several churches, the largest of which is Santa Maria Maggiore which has a superb gothic portal. This town is situated on a hill about 265 metres above sea level and there is evidence that the town was populated several thousand years Before Christ. Lanciano is famous for having been the location of a miracle in the eight century. A monk who was questioning the existence of Jesus Christ was saying the words of consecration at Mass when the bread and wine changed into flesh and blood. It has been certified by the Catholic Church as a Eucharistic miracle and is now well known as The Miracle of Lanciano. The town has a Cathedral, Santa Maria del Ponte (St. Mary of the Bridge), so named because it was built along a precipice and was supported by a bridge. Built in 1619 it has an 8th century Byzantine statue of the Madonna. Chiesa di Santa Maria Maggiore - built in 1227 in the Bourgogne-Cistercian style but updated to the Baroque style in 1540. This church is one of the most important architectural buildings in Abruzzo. Chiesa di San Francesco - built in 1258 built over the remains of a 7th century church. The high altar houses the relics of The Miracle of Lanciano. Chiesa di Sant'Agostino - built in 1270 it still has its original rose window and gate but the interior has been restored in the Baroque style. Chiesa di San Biagio - built in the 11th century this is the oldest church in Lanciano. 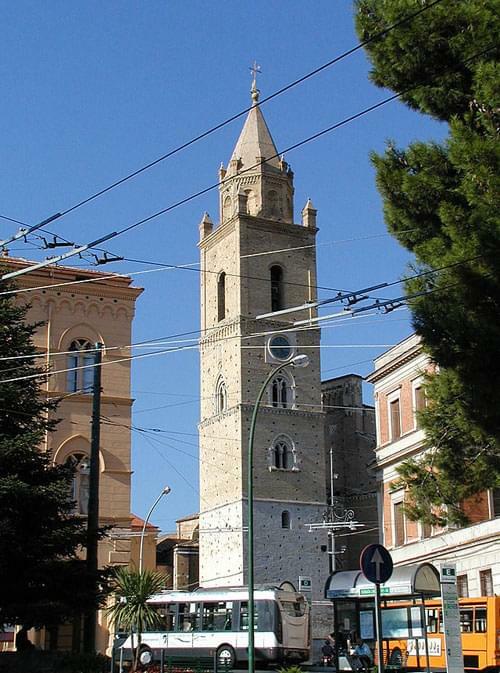 It has a bell tower and on the 3rd February every year it is opened for the Catholic rite of the anointing of the throat which is linked to Saint Biagio. Torri Montanare - part of the 11th century walls these two large towers provide a panoramic view of the area. Porta San Biagio - there were originally nine of these 11th century gates but this is now the only one remaining. Torre civica - a 19th century clock tower. Botteghe Medievali - a two storey house built in 1434 which today has antique shops on the ground floor. 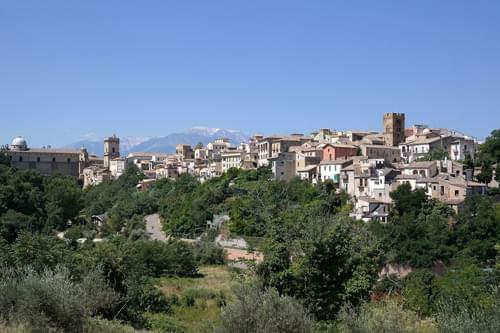 This village is set on a hillside on the southern border of the province of Chieti and has an interesting historical centre which still retians many of its old, original houses. It is a maze of narrow streets, alleys and steps with a pedestrianised main square called Piazza Largo del Popolo. There are 200 steps leading up from this piazza and at the top is the 17th century church of Santa Maria delle Grazie. Just on the outskirts of the village there is a newly renovated small chapel called Santa Liberata which is surrounded by pine woods and mountains and has wonderful views of the olive groves and vineyards below. Close by there is a large, imposing, ancient oak tree called 'Quercia di Lozzi'. San Salvo Marina - long, sandy beaches and shallow water. 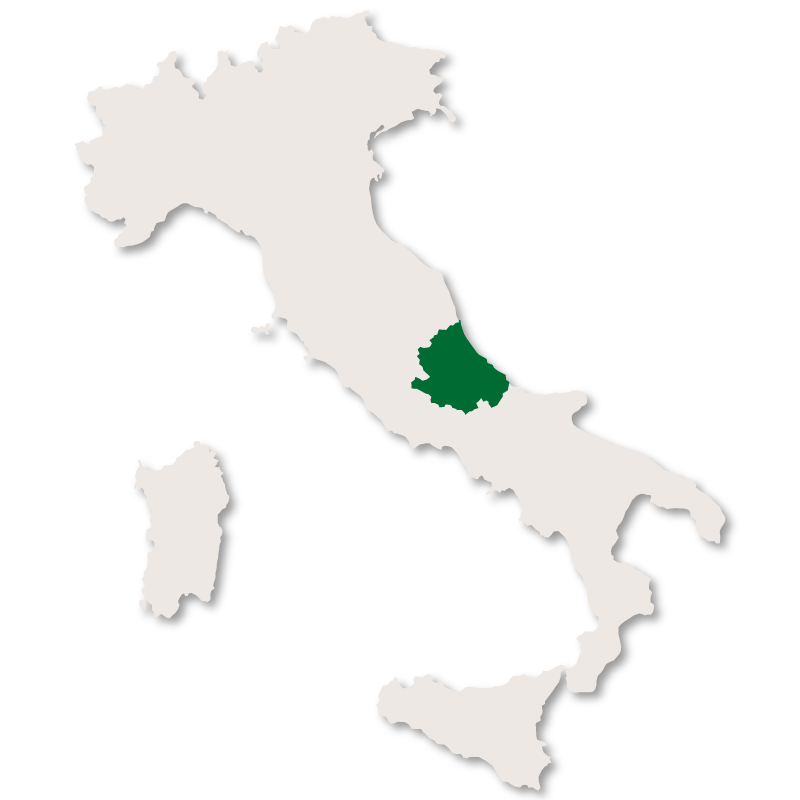 The whole of the province of Chieti is extensively cultivated with olive trees and vines and produces highly regarded extra virgin olive oil and wine such as the red Montepulciano d'Abruzzo and the white Trebbiano d'Abruzzo. The food in this region is fairly rich and varied, with sources of fish from the sea and wild boar, lamb and goat from the mountains. All dishes are cooked with lashings of local olive oil and tomatoes. One famous local dish is called 'turcenelle' and consists of the entrails of kid which are stewed and mixed with a rich tomato sauce and hot red peppers. For those with strong stomachs this could be followed by a chunk of the famous sweet from the province, 'sanguinaccio alla chietina'. This is made from filtered pork blood, cinnamon, must, chocolate and pine nuts.